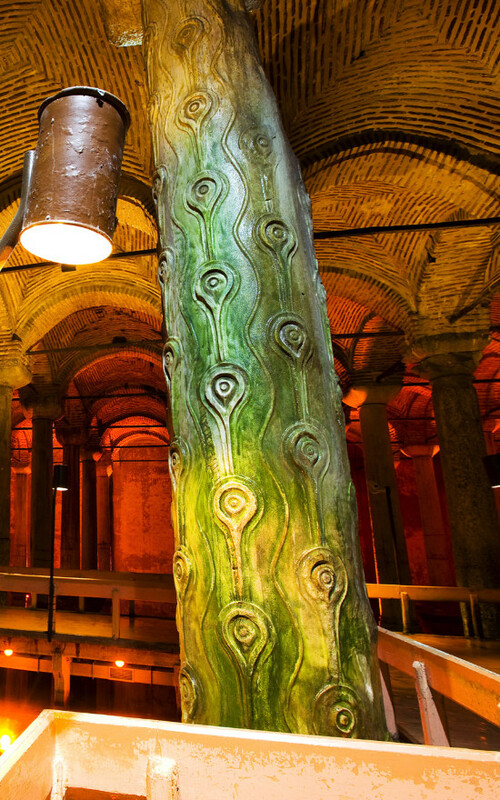 One of Istanbul's splendid historical buildings is the Basilica Cistern located in the southwest of Hagia Sophia. 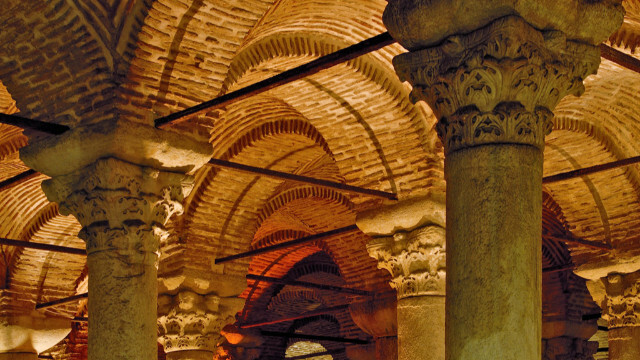 This large underground cistern built by Byzantine Emperor Justinian I (527-565) was named as arasında Yerebatan Palace ere among the people due to the marble columns rising from the water and countless seemingly like. 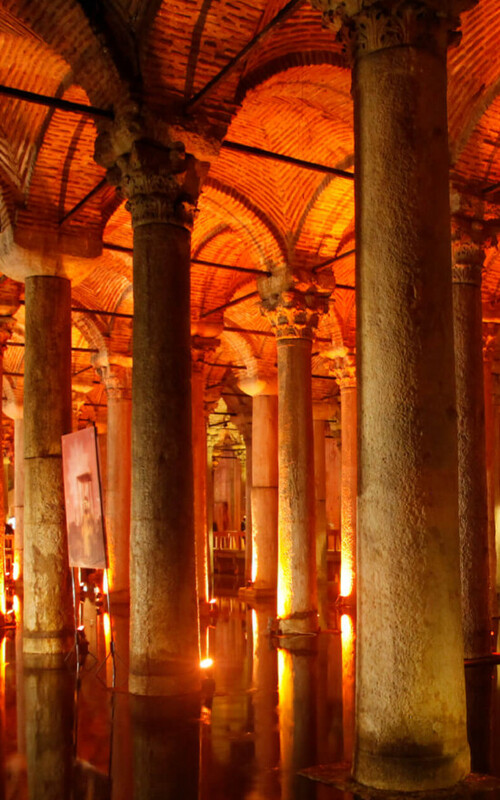 It is also known as Basilica Cistern since there is a Basilica in the place where the cistern is located. 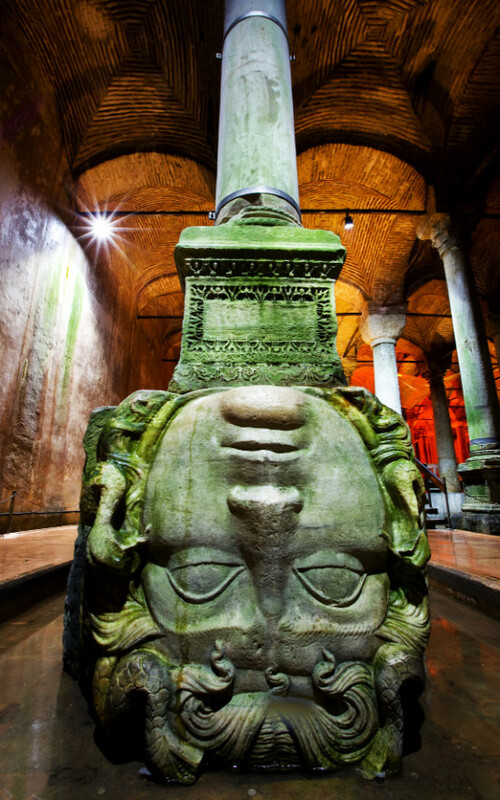 Legend of the Underground: Medusa According to one legend, Medusa is one of the three Gorgonas, the female monster of the underworld in Greek mythology. Medusa, the snake-headed of these three sisters, has the power to turn his ministers to stone. According to one view, Gorgona paintings and sculptures were used to preserve large structures and special places at that time, and this is why the head of the Carnica Medusa was placed. The cistern is a giant structure covering a rectangular area of ​​140 meters in length and 70 meters in width. Covering a total area of ​​9.800 m2, this cistern has a storage capacity of approximately 100.000 tons of water. * Our institution is not affiliated with the Ministry of Culture.